Glisten up highlighter addicts – there’s a new must-have in town. 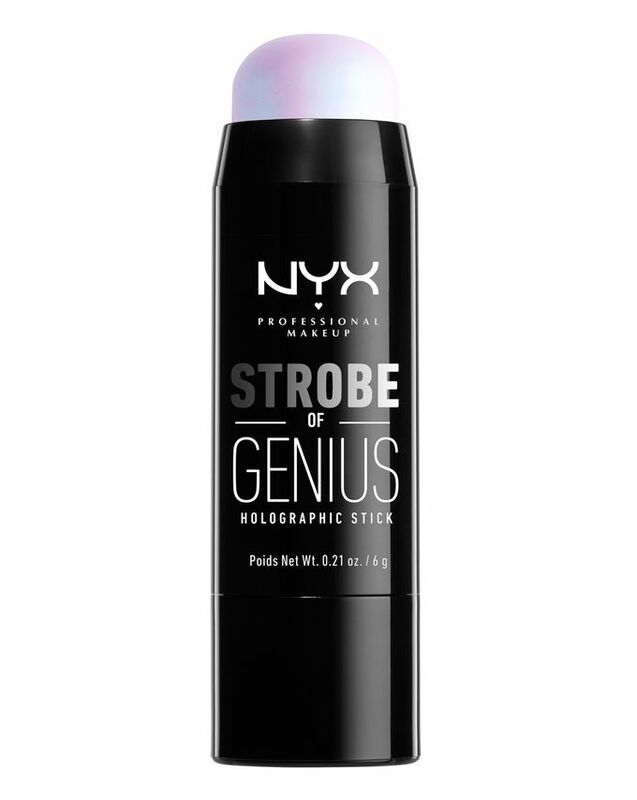 This gorgeously gleaming holographic stick is packed with ultra-fine pearls, which glide on effortlessly, softly illuminating your complexion for a runway-ready, strobing glow. In stunning pink and blue-toned shades, this versatile piece of kit will keep you glowing wherever, whenever. Want to glow holographic with your highlighting? 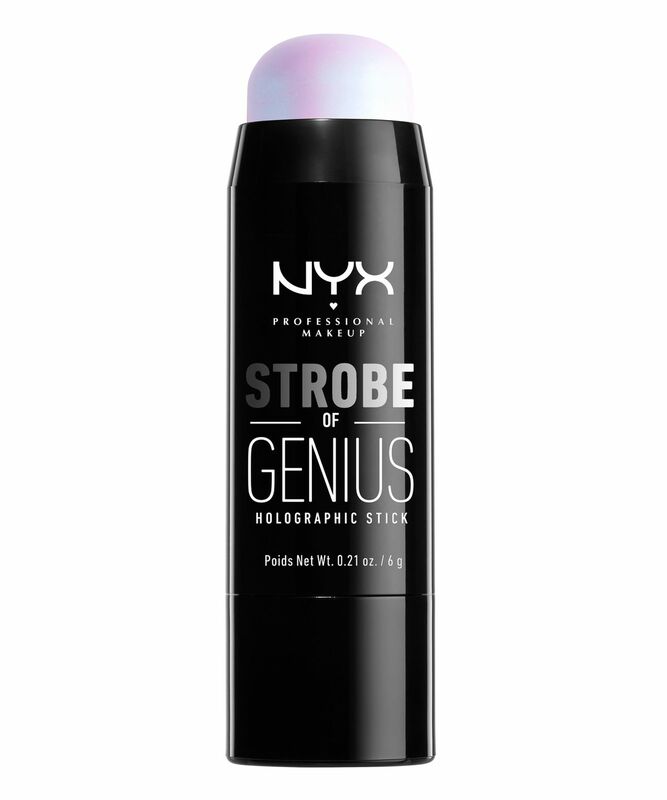 You need NYX Professional Makeup’s Strobe of Genius Holographic Stick, a gorgeously gleaming highlighter packed into an ultra-convenient stick so that you can strobe in a flawless flash. Brimming with ultra-fine holographic pearls, these creamy highlighters softly illuminate your complexion with enviable radiance. There are two stunning shades to choose from: ‘Mermaid Armor’ imparts a soft pink glow from a pearly base, while ‘Blue Pearl’ adds an iridescent lilac-blue glimmer with a soft pink base. Sweep it across the high points of your face to cast a unique spotlight on your prettiest parts, or use it wherever you want to shine. Use to highlight your favourite features, or wherever you want to add enviable glow. It’s a really pretty product, however, it is not “holographic”. Adding to that, the stick formula is not really practical. I do like it for when I’m not wearing makeup, as it gives a nice glow. It’s not that bad, but NYX has better highlights (that don’t claim to be something they’re not! ).